The success party of Tiger Shroff and Disha Patani's recently-released film Baaghi 2 has been cancelled after Salman Khan was convicted in the 1998 blackbuck poaching case by a Jodhpur court on Thursday afternoon. The 52-year-old superstar has been sentenced to five years in jail. Sajid Nadiadwala, who is the producer of Tiger Shroff's Baaghi 2, cancelled the film's success party, which was scheduled to take place on Friday and is now going to Jodhpur, read a statement. 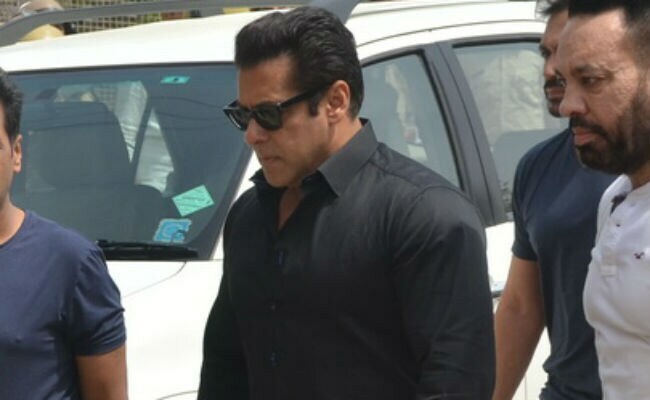 After the judgement was delivered, Salman was taken directly to the Jodhpur Central Jail while his other Hum Saath-Saath Hain co-stars Saif Ali Khan, Tabu, Sonali Bendre and Neelam Kothari, who were also charged, were acquitted in the 20-year-old case due to lack of evidence. Salman was accused of hunting blackbuck in Jodhpur while filming Hum Saath-Saath Hain in 1998. Salman Khan and Sajid Nadiadwala have made several hit films together. Jeet, Judwaa, Mujhse Shaadi Karogi and Kick are some of Salman's films produced by Mr Nadiadwala. Also, several media reports stated that he will produce Salman's Kick 2. Baaghi 2, which released just last Friday, crossed the Rs 100 crore-mark at the box office. The film has earned Rs 104 crore so far. Baaghi 2 is a remake of Telugu film Kshanam and the second film in the Baaghi franchise. Both the films are headlined by Tiger Shroff. Salman Khan returned to India earlier this week for the blackbuck case verdict. He was filming Race 3 in Abu Dhabi. Jacqueline Fernandez, Anil Kapoor, Bobby Deol, Saqib Saleem and Anil Kapoor are his co-stars in the film directed by Remo D'Souza. Race 3 is scheduled to hit the screens this Eid.